The Social Newspaper - The onestop site reporting on all your travel, finance and health needs. Australia Is Road Trip Heaven! Can you still be connected in the countryside? Have you been looking for the top ideas for a holiday this summer that the whole family can enjoy? Perhaps you don’t have much in your budget for this year but you still want to get away and do something exciting or new but you aren’t sure where to go or where to start. 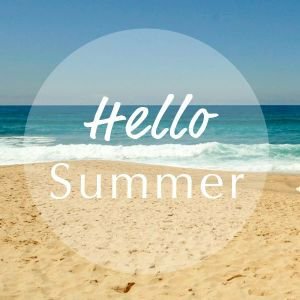 If this sounds like a problem you’re currently facing, check out this list of great summer fun ideas the whole family will enjoy! When it comes to caravan holidays, caravan holidays in Cornwall are some of the best options out there for summer getaways with the whole family. Caravanning can allow you the freedom to choose where to go and where to stay, and with great caravan parks like Perran Springs, centrally located in beautiful Cornwall, they provide an ideal base for exploring counties that you may not have explored before. Cornwall is home to numerous unique sites that you won’t get elsewhere such as Tintagel Castle, Bodmin Moor and the famous Jamaica Inn as well as the picturesque town of St Ives, proving that Cornwall has a little bit of something for everyone. Weekend getaways throughout the UK and mainland Europe are hugely popular. If you aren’t sure where to go though, you can easily find last minute deals if you don’t mind when exactly you take off or where to. Sometimes packages can be almost criminally cheap if you don’t mind where and when you head out – with some weekend packages with flights being as low as two hundred pounds return to some European destinations on various low cost package sites. In this sense, you might be able to afford a couple of different getaways this year, provided you don’t mind where you go! City breaks, much like weekend getaways, are a popular option, especially for those who live and work in the UK. Getting away to popular UK cities like London, Bath, Edinburgh and Belfast can provide you with a look inside some of the most beautiful, bustling and interesting cities that are dotted around the country. With so many things to see and do in each, it’s no surprise they’re so popular, providing visitors with ample access to hotels, shopping, entertainment and more. With so many interesting options for this summer’s holidays, which will you choose? From travelling around in a caravan or motorhome, getting away for a weekend break somewhere on the continent or visiting a city you’ve never really visited before, there’s something available for all budgets and desires. Which is your favourite? For a while now dental implants have been seen as the number one thing to replace any missing teeth – they’re the next best thing to your real teeth. That’s because they have been shown to give much better results when compared to the other treatments available. Treatments such as bridges or dentures come in second place to dental implants because of appearance, satisfaction and also functionality. Patients who have opted for dental implants love the results and can be seen leaving the surgery full of confidence, smiling again and ready to enjoy everyday activities for the first time in a long time. Simple things such as chewing become much easier when people have dental implants added to their mouth. The great thing about an implant is that it replaces the root where your tooth used to be, and in time it becomes permanently connected to your jawbone. This has two main benefits; it makes sure the implant is anchored properly and also it will prevent any more bone loss because it will stimulate new bone. Aesthetics are very important for all types of cosmetic dental treatment, and this is where dental implants really deliver. Once the post has been attached to the jawbone, the crown that is attached will naturally fit in and match the teeth that surround it. People can often see bridges or dentures, whereas implants are very difficult to spot. I can tell you from personal experience that when you get a dental implant you don’t have to worry about any inconvenience that you get with removable dentures. The implant looks, feels and will function just as your natural teeth did before – again, this is down to being fused together with the jaw bone. Implants are super comfortable and you never need to worry when eating, smiling or talking. One of the biggest things that people say about dental implants is that their confidence is boosted no-end. For some, including myself, the whole experience is life changing because with the new found confidence comes and improved social life. You feel happy eating anything you see, smiling brightly for special pictures and have peace of ming that they’re secure. With major advances made in dental technology, it’s now very possible for your child to have a perfect smile. It’s also quick to achieve, discrete to do and super easy. From personal experience I can guarantee that when you get a new smile, you are full of a new found confidence – it really is life changing. Your orthodontist will be able to talk you through the best type of braces for your child, the needs are different for all individuals. The old traditional type of braces that we saw when we were kids used elastic ties which would hold the wire in position – they caused a lot of pain due to friction. They were also vulnerable to collecting a lot of plaque, anytime plaque builds up it will be unpleasant for the wearer. Damon braces are much more easy to wear because they have a unique mechanism which holds the wire in place. It makes it nicer for your kid, speeds up the time until completion and are much more modern. Kids love how they look because they are a lot less bulky that traditional metal braces. Very similar to Damon braces, ceramic brackets make the braces less noticeable in the mouth. This is because the brackets are made from ceramic material, making them clear and less obvious to others. They will stay in place for the whole duration of the treatment, so they work 24/7/365. The only downside that some users notes is that they clear ceramic can become stained – still a fantastic option if your kid wants less noticeable braces. 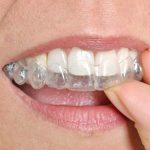 It’s pretty clear from the name that these braces are invisible to the naked eye, one big brand of these braces is Invisalign – a hugely popular treatment offered by orthodontists across the world. The braces are invisible and can be removed, but they will stay in the mouth for 20-22 hours each day, the only time they are removed is for cleaning and eating. A great way to help teenagers get the perfect smile, they’re not usually recommended for younger kids. These days travelling abroad with kids is difficult. With all the costs of flights, hotels, food, activities and souvenirs, the price quickly racks up and can leave families in the red long after the holiday has come to an end. While it sounds glamorous to be able to spend a week in Spain, Italy or France, the costs for many families is just too much to bear. If this sounds like an issue you face, why not consider these great staycation activity ideas for your summer holidays with the kids this year. Camping – It Doesn’t Have To Be Expensive! Classes that engage the whole family are often some of the best ways to spend time together. Whether it’s an art, pottery, sports or dance class or the like, it can be an immense amount of fun to spend this kind of time together learning a new skill. Many colleges, churches and local arts centres offer family friendly classes that everyone can get involved with, so check your regional area for what’s on offer near you. If money is tight and you can’t afford much, consider picking up some great new board or family games. There are many great card games out there such as Uno or Phase 10 that many children are able to play as well which are inexpensive and hours of fun. You can create a new tradition of family game night that doesn’t have to exist just during the summer. Games are always a great way to spend quality time together without phones, TVs or other distractions so you can really reconnect. With so many cool ways to spend quality time with your family over the summer without spending too much money, it’s easy to see why more people are choosing staycations instead of jetsetting abroad to far flung and exotic places. What will you and your family do this year? We’d love to hear from you! 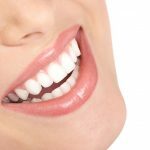 Most people would agree that having perfectly straight teeth is aesthetically pleasing, but there are plenty of other positive benefits as well. 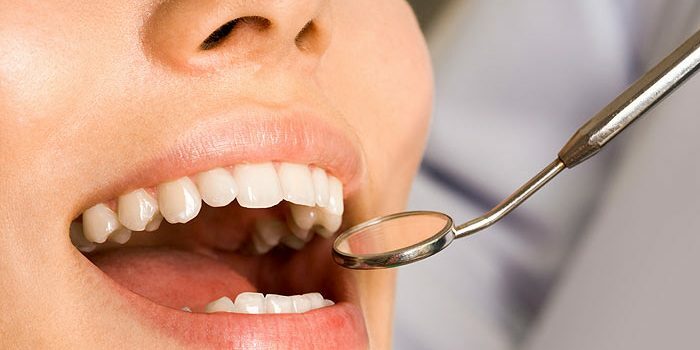 Many people approach their dentist looking for ways to achieve the perfect smile, that can be through teeth whitening or learning new habits to look after their mouths, there are plenty of ways which you can improve your smile. If you look at all the treatments and number of patients for each one, you’ll see that Invisalign is always near the top of the list for popular ways to improve a smile. You can maybe guess from the name that Invisalign has something to do with invisible braces – and that’s pretty much what they are. The Invisalign process uses a clear mold to gently realign your teeth. With metal braces you tighten them every now and then to keep the teeth moving, with Invisalign you simply change the mold. If you have a dentist using 3D technology then you may find that the treatment time is much quicker. When it comes to straightening your teeth, you might think about the traditional metal braces then consider why people are recommending Invisalign instead. We believe that Invisalign is a much better alternative to metal braces and is now the most effective treatment to re-align your smile. So we’ve put together some of the main benefits for you below. Your long-term dental health will be much better than it would have been before. For more information about Invisalign and many other great treatment you should look for Norwich orthodontics, they have everything you need to get that perfect smile. I am sure you’ve all heard of a family member or friend talking about how amazing the work they’ve had done on their teeth is, maybe you’ve had some cosmetic treatment yourself. I don’t think I have heard anything negative about it at all, that’s why an increasing number of people are deciding to improve their smile these days. Advances in dental technology have meant that procedures are often simple, quick and leave long lasting effects. As the treatment becomes more popular the price becomes more attractive, another great benefit for us the patients. So what are the main treatments people are choosing to get these days? When we talk about advances in dental tech implants have to be at the top of that list. The procedure of attaching a post to the jaw and then putting a crown on top is so simple now. Some people, including my father, have even taken out damaged teeth and replaced them with implants. They are easily the best way to replace teeth, bridges are quick becoming a thing of the past. We’ve all seen the movie stars with gleaming white smiles for years. It used to be that only people on the front of a magazine or Hollywood star, now it’s readily available to everyone. There are even home whitening kits that you can buy in some shops, I would recommend visiting your local dentist to get it done. You will have slightly sensitive teeth for a day or two afterwards but the results are fantastic. I remember being a teenager and having to wear a big metal brace to sort out my crooked teeth, it really wasn’t pleasant and certainly made me very shy especially smiling. Now people are turning to invisalign. As you might guess from the name, it’s an invisible treatment and that’s why it is so popular. It does take longer to complete than the traditional brace but I believe it will leave you feeling much more comfortable. Contact your dentist in Stroud to get more information about the best treatments for you. With spring and summer just around the corner, soon it will be the sound of wedding bells you hear in the air as the season for celebrating love starts up and the parties get going. Wedding season is always an exciting time – after all, who doesn’t like a good party? – but it can be stressful too. Between the outfit, the hotel, getting ready and the gift, there’s so much for a guest to think about, nevermind if you’re a bridesmaid or groomsman. If you’re worrying about wedding gifts, worry no more! Here are some top ideas to help you pick the perfect gift. Gift cards are some of the best options when it comes to wedding gifts. They allow the couple to pick what they want for the home from a specific store or you can give a prepaid Visa or Mastercard gift card which will allow them to use it at any store they choose. This is perfect for couples who have already been living together for awhile so they can pick something they need for the house, or can spend it in another way they need. 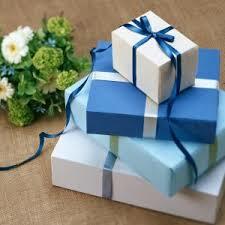 Like gift cards, cash is a great idea when you are stuck for a wedding gift. Cash allows the couple to put it into a savings account, spend it on something they need for the house or even put it towards their honeymoon. Cash is king when it comes to gifts of all kinds, and it’s one of those fail safe options that’s always in style. Something for the home that isn’t too intense is always a great idea, especially if it’s quite generic like a throw blanket, an extra sheet set or the like. Everyone can always use throws or sheets, so they’re great go-to gift ideas if you want to get them something physical and not just cash or a gift card. Other things that are great are personally done pieces of artwork if you or someone in your family are a bit of an artist. When in doubt, champagne. It’s a great gift for the couple to toast to their new marriage anytime, and they can save it for their first anniversary as well. It’s a versatile gift that won’t go wrong in most situations, just be sure to consider personal tastes if choosing to go this route or consider if the bride/groom drink as well. If not, it’s wise to skip this gift idea. If they do though, consider getting a higher quality Moet or other more expensive and extravagant brand. So there you have a couple of great wedding gift ideas for those who are beginning to stress about everything to do with heading to weddings in the coming months. With so many cool wedding gift ideas, there’s always something for everyone, and you’ll have no trouble finding the perfect gift for your budget as well as the tastes and needs of the bride and groom. It used to be that a trip to the dentist was all about going for a check up or because you had a tooth ache that had become unbearable, I think that’s where dentists got the reputation they did. Nowadays people like going to the dentist because more of us are choosing to have cosmetic treatment. Talk to anyone who has had their teeth improved and you’ll hear about how much happier they are with themselves. It might not be hugely apparent to their friends what has been done, but to them they can notice a huge difference. There are so many benefits we could talk about when you improve your smile, here are the 3 benefits that everyone can look forward to if they try cosmetic treatment. Have you been hiding your smile? Holding your head a little lower to avoid people seeing your teeth? Muffled your laughter and kept your mouth closed because of embarrassment? Well, if you’re doing any of these things because you’re shy you need to book an appointment with the dentist as soon as possible. Imagine being able to smile as wide as you’d like, holding your head high and feeling super confident. You will become a different person when you’re with your having fun. Leading on from the confidence you will feel when smiling, you will also feel more confident in the workplace. It seems that there is a bit of a stigma attached to people who don’t have great teeth these days, now you’ll be able to speak up in meetings, smile too and your colleagues will notice this that you’ve become more vocal. Enjoying your work life more only leads to a happier life overall. When you have the perfect smile your teeth will be straight and not overcrowded. This makes it easier to floss and brush your teeth – if you’re not able to do both of these things effectively then you have a build up of plaque which will, in time, lead to tooth decay. We all know that tooth decay is likely to rack up a hefty bill at the dentist. So improve your smile and reap the health benefits too! Crooked teeth can not only make us feel uneasy but they can also hamper you when cleaning them. If you have teeth that simply can’t be cleaned properly then you’re very likely to end up with some periodontal disease. This will affect gums, bone and lead to tooth loss. Braces are the way to straighten your teeth correctly. That being said, traditional braces are no the most attractive, quite uncomfortable, and call also be quite painful sometimes. Many adults also feel a little embarrassed when wearing them. So, to avoid these problems Invisalign is a superb alternative. Many people believe that metal braces are unattractive, and it looks as if the mouth is full with chunks of metal. On an adult they are most noticeable and it is easy to get food stuck in them without the person wearing them knowing. With clear braces such as Invisalign you can hardly see them in the mouth. In fact, it looks like the wearer isn’t wearing any braces at all. Overall they are much more attractive than the traditional metal braces. Once your dentist attaches the metal braces to the teeth, they must stay in place until a professional removes them. Invisalign braces are easily removed. If there is any point at which the wearer would like to take them out, to eat or drink something, they can do so with ease. Traditional metal braces have things such as wire and protruding metal, all of which can cause scratches and punctures to the mouth and gums. The clear kind of braces are extremely comfortable and very smooth. There are no sharp edges or protruding parts present. All in all, the clear braces will greatly reduce the amount of damage caused by traditional braces, this includes gum disease and cavities.